Included on the campus of CH&E's office complex at 1270 Grofftown Road is a 4,000 sq ft Architectural Millwork facility. Our fully-equipped shop specializes in those difficult projects requiring craftsmanship and attention to detail. 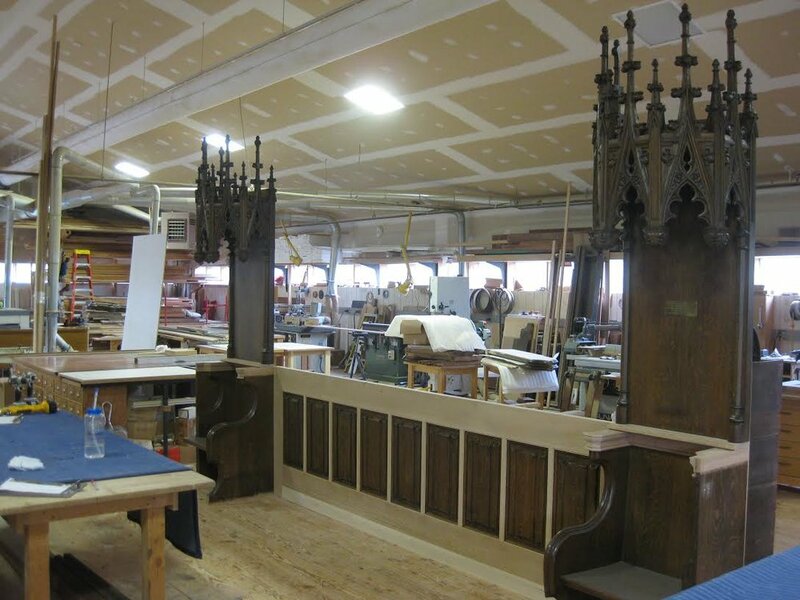 The experienced staff and expanded facilities allows us to take on a great range of projects, including Historical Reproductions, Architectural Paneling, Casework, Custom Moldings and Plastic Laminates. Having our own shop affords us greater latitude in scheduling projects and achieving close coordination with architects and owners, as well as tight quality control. CH&E's millwork shop is available for your project needs. Please contact Mike Heider, Architectural Millwork Project Manager, for more information.